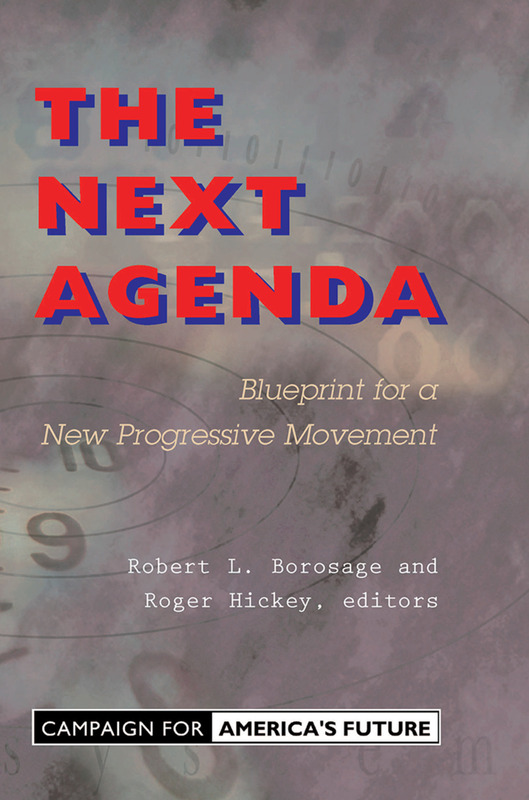 In The Next Agenda, editors Robert Borosage and Roger Hickey of the Campaign for America's Future have gathered essays written by some of America's most progressive thinkers and activists that lay out ideas and reforms to address the serious issues facing us today. They argue that the economic prosperity of the last decade can only be sustained if it is more widely shared. And they call for a new progressive movement to forge new rules for the global economy just as the Progressives of the last century tamed the excesses of America's national economy.Each of the fourteen essays in The Next Agenda detail the context that makes fundamental reform both necessary and possible and outlines the policy proposals that are vital to begin meeting the challenge. David Moberg, reporter for In These Times, writes about reforming labor law to empower workers whose voices have been drowned out by globalization. Richard Rothstein, education columnist for the New York Times, writes of the growing shortage of classrooms and teachers and suggests reform initiatives for public education. Ted Marmor of the Yale School of Management, and Jon Oberlander, of the University of North Carolina-Chapel Hill, provide a plan to make affordable, comprehensive health care available to everyone. Carl Pope of The Sierra Club and a leader of the environmental movement joins with labor leader Robert Wages, of PACE International, to lay out elements of a Green Growth agenda, detailing how labor and environmentalists can combine in promoting sensible investments for sustainable growth. These forward-thinking essays serve as a springboard for national debate and provide an ambitious agenda for the next administration.